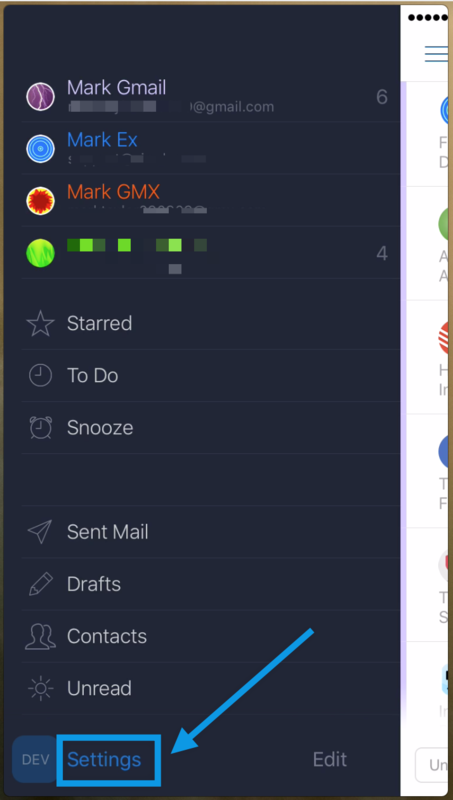 Airmail now allows you to get the notifications based on the locations that you choose in Airmail. This is an individual account setting, therefore you can choose whether you want this for all accounts or just a few of them. Please follow the instructions to enable this feature. 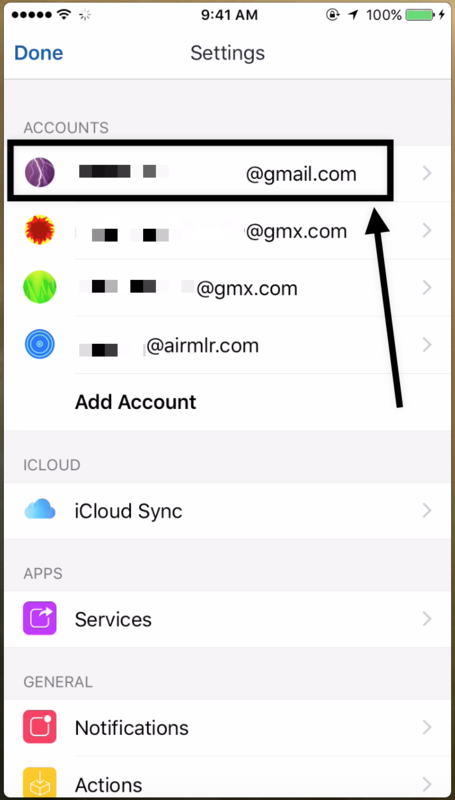 Go to Airmail Settings as shown in the picture below. 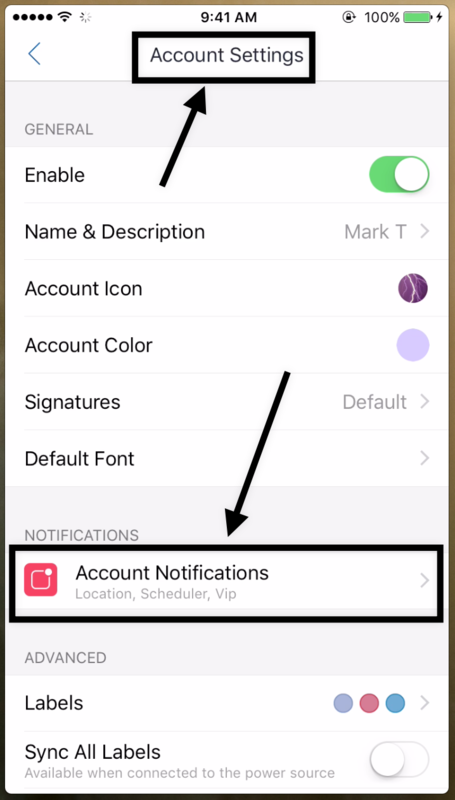 Then choose the account for which you want to enable the notifications based on location. Then choose &apos;Account Notifications&apos; from the list as shown in the picture below. Then choose &apos;On Locations&apos; from the list as shown in the picture below. Here you can choose on which locations do you want the particular account, to notify you of the incoming emails. 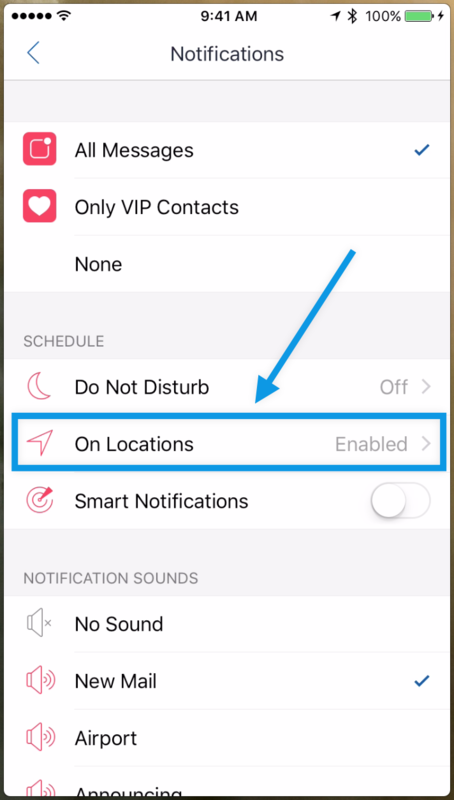 If you enable this feature for an account, then the account will not be able to receive the notifications at other locations than the ones in this list.